This little consumer-grade wireless router from monoprice.com caught my eye because it supported 802.11n, and was only $25. I looked at the feature list, noted the external antennas, and thought to myself, “How bad can it be?” The answer? Pretty bad. I’ll keep this brief. It doesn’t get overly hot. The feature set is fairly robust. Only one of the antenna leads is actually outputting signal, at least on mine. This is based on readings using InSSIDer 2.0. When used as an Internet gateway, the device slows down over time, and drops many connections. Internet access becomes sluggish. DNS doesn’t always work. Web pages don’t always load. Lots and lots of waiting for things to happen. The solution is a power cycle. Download performance, even when using the hardwire connection (not the wifi connection), is poor. I can reliably download at 10-12Mbps using speedtest.net under normal circumstances. With this router, I am frequently dropped down to 4Mbps or so during tests. Wireless signal penetration in my wood & sheetrock home is terrible as compared to any other wireless access point I have ever used. Higher gain external antennas do not help. Wireless signal drops over time such that my iPhone can no longer see the signal, although my laptop still can. The solution is a power cycle. The web management interface dies after a while, so that you can no longer monitor the status of the router or update settings. The solution is a power cycle. Any (any!) setting change requires a complete router reload, which interrupts network service for anyone using it. Not a big deal once you’re past setting it up and tuning it, but still a nuisance. The web interface will allow you to select channel 13, which I’ve learned is not viable in North America where only channels 1 – 11 are supported. The result was a mix of devices that could see the broadcast SSID of the access point, while others could not. Once it dawned on me what the issue was, I went back to channel 11. There is nowhere to download firmware updates, although it is possible to upload new firmware to the router through the web interface. So in theory, it’s possible to upgrade this router. In practice, it’s not. Due to some of the problems identified above, I have been cycling the power on the router every 24-48 hours to get things back to a usable state. In summary, don’t waste your $25. Avoid, avoid, avoid. I received an very nice e-mail from Monoprice, which I have quoted a little bit of below. I was reading over your post on the router you purchased from us and wanted to thank you for your thorough insight and feedback. I also wanted to take the time to let you know our Product Development team is working diligently on correcting the issues you addressed in your review as well as others that we have discovered. We also will be releasing some newer routers in the near future that will address the aforementioned issues and will prove superior to our first generation routers. It’s worth noting that I’ve bought several odds and ends from Monoprice, and they’ve generally been great value for the money. I rewired my entire home theater with Monoprice gear. I wall-mounted my TV with a Monoprice mount. I have an 8-port gigabit switch from Monoprice that has been flawless. Obviously, they care about what folks are saying about them out there…I didn’t even ask Monoprice if I could return the wireless router I reviewed here. They happened to catch my blog post, and offered to help. LOL…this workaround isn’t too shabby, either. The review is correct. I have mine set as a gateway and using it just as an access point. Periodically it fails to allow access to my main router DHCP and so clients can’t get an IP number. But if they have an IP number already, it works. A reboot fixes it. Even if I use the Monoprice router’s DHCP, it still does not work. 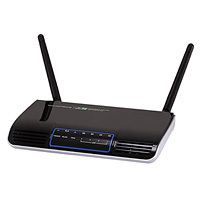 However, I have had many routers (linksys, netgear, d-link) that also fail periodically and require a reboot. Wish somebody would figure this problem out without using a timer or a hammer.. I am running into the same problem. Seems like everyday after dinner, wireless clients try to connect but can’t obtain an IP. I need to reboot the router and then the wireless clients can connect. I don’t seem to be having any problems with wired connections. If anyone finds an actual fix or workaround, please let us know. Thanks! Just got the Monoprice Wireless N 300. I have a grip. Why can you set mulitple AP’s if you cant seperate them. So if I want Wireless-User and Wireless-Guest I would want them on a different IP Range or the ability to not allow access to other device use LAN or Wireless-User. Unless Im missing something.